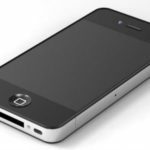 If you’ve been waiting to pick up an iPhone 4, the following deal could be for you. 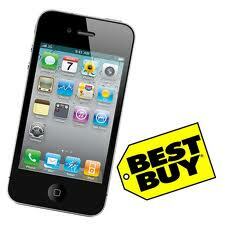 According to Techvibes, Best Buy is celebrating the Stanley Cup Playoffs by offering the iPhone 4 for $99. The offer is only eligible to customers in BC (what about Habs fans?) that show a special playoff barcode to Best Buy cashiers in-store on game days. Game 1 versus Chicago starts today and game 2 is on Friday. Important note: Best Buy is not officially announcing this deal until Friday, April 15th and will be posting a coupon on their website for all BC residents to print off and use. However Techvibes readers can access this deal today by printing off this blog post including the barcode to the right and taking it with you to your nearest Best Buy store. The $99 price will definitely be on a 3-year term, but at that price you’re still saving (regular price $159). You can check out the deal here. GO CANUCKS GO! Let us know if this deal works for you! Thanks for the heads up @AppHipMom!